Nice this is great too. Who says problems can't be solved with money? Aw man, should've gave Iron Man the glasses! hahaha whoa... glad you like this that much! Screw super power ! We have money ! 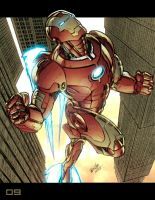 no idea why batman doesnt create an iron man type suit.. he's got so much money..
Because then he would get into money wasting legal battles with Tony about who owns the right's to the suit design. Nobody wins. Well, in the first trailler of "Arkham Knignt", the Batsuit is waering like an armor of Tonny Stark. Money: The best superpower ever. ahahahah problem?.. just throw money at it! glad you got a laugh out of this! Hahahaha how long has it been!! I haven't seen that music video is a long time!! Lol, these guys xD. I just imagine Ironman throwing a wad of cash in Deadpool's or Spiderman's face :'D. yeeeah nice badass money makers! ahahhaah thats the name of their rap duo! As soon as I posted the above, it hit me. "Bruce, Tony And Their Benjamins". Holy hell, i was blind linked to this by a friend and this gave me a giant belly laugh. Well done, that smirk on bats is what does it. whoa!.. real glad you got a laugh out of this! yea something about batman smiling is really unsettling..
ahhaahahahah i've captured their true essence! real glad you got a laugh out of this! ahhahaha dammit i'm always forgetting the hoes! the perfect name for that face!!! oh my god. YOURE the one who made this? i found this forever ago on a random app on my phone. i loved it and its been my background on my computer for forever! thats the highest honor of all time!!! The more i look at it the more I feel like those two should do a rap song togther. batman seems more like an emo dude to me however.. Still by the way you drew batman in the other picture with ironman where you can see that batman is smiling and I thought if those two are that happy they should make a rap toghter.